Nestled in the foothills of Napa Valley, Eagle Vines Vineyards & Golf Club is bordered by endless rows of grapes. Unlike many other vineyard courses that sell their grapes, Eagle Vines produces their own wines. Surrounding the vineyards is a landscape of 200-year-old oak trees and lush, grassy meadows, an ideal setting for golf. The 18-hole Napa Golf Course at Kennedy Park in Napa, CA is a public golf course that opened in 1968. 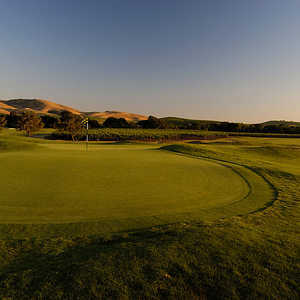 Designed by Jack Fleming, Napa Golf Course at Kennedy Park measures 6681 yards from the longest tees and has a slope rating of 131 and a 72. The 18-hole Napa Valley Country Club in Napa, CA is a private golf course that opened in 1915. 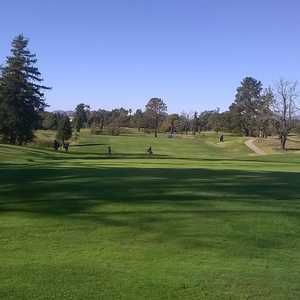 Napa Valley Country Club measures 6314 yards from the longest tees and has a slope rating of 127 and a 71 USGA rating. The 18-hole North Course at Silverado Resort & Spa in Napa, CA is a resort golf course that opened in 1955. Designed by Ben Harmon and John Dawson, North Course at Silverado Resort & Spa measures 6793 yards from the longest tees and has a slope rating of 133 and a 72. The 18-hole South Course at Silverado Resort & Spa in Napa, CA is a resort golf course that opened in 1967. Designed by Robert Trent Jones, Jr. and Robert Trent Jones, Sr. 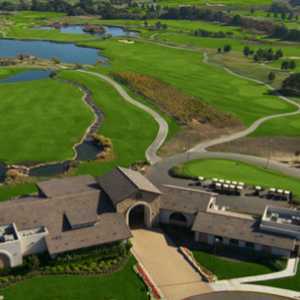 The 18-hole Vineyard Knolls Golf Club in Napa, CA is a private golf course that opened in 2000. Vineyard Knolls Golf Club measures 3446 yards from the longest tees.